Hon. 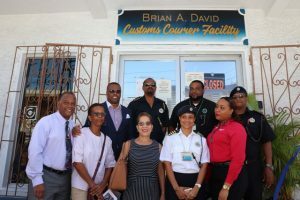 Eric Evelyn paid homage to Mr. Brian Anthony David of blessed memory, a former senior Customs Officer at the Customs and Excise Department in Nevis at a ceremony on October 25, 2018, to rename the Customs Courier Facility in Charlestown in his honour. NIA CHARLESTOWN NEVIS (June 29, 2018) –Hon. 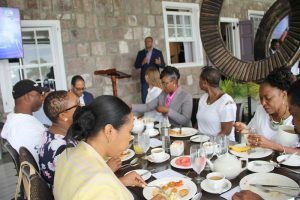 Mark Brantley, Minister of Foreign Affairs and Aviation, and Premier of Nevis, says he wants Nevisians and Kittitians in the Diaspora begin engaging their homeland and share their expertise. Charlestown Primary School sponsored by The Bank of Nevis Ltd.